Since Stella was born, Lolly likes to travel with her in the back of the van. 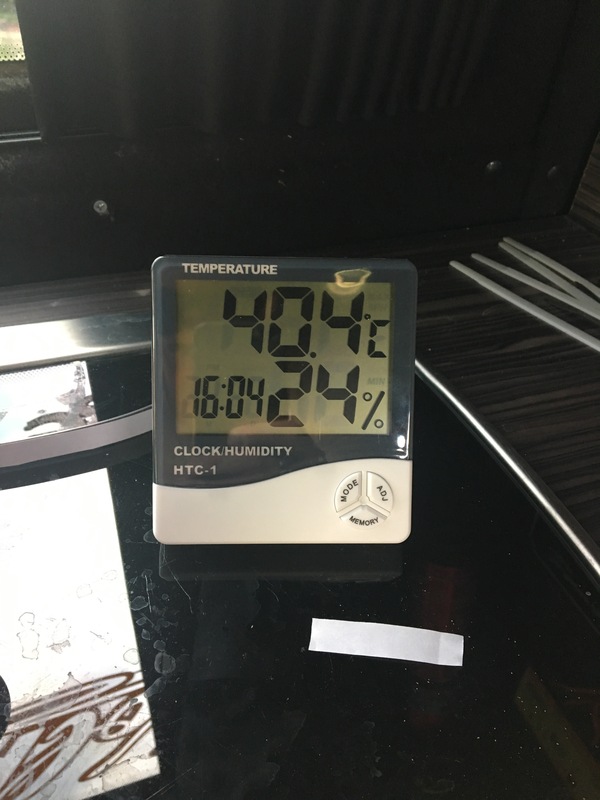 The weather here in England has been unusually warm and it gets pretty warm in the back of the van too, below is the temp inside when the van has been left in the sun for the day. Even when you drive along with the windows and sunroof open you don’t get much of a breeze in the back of the van. 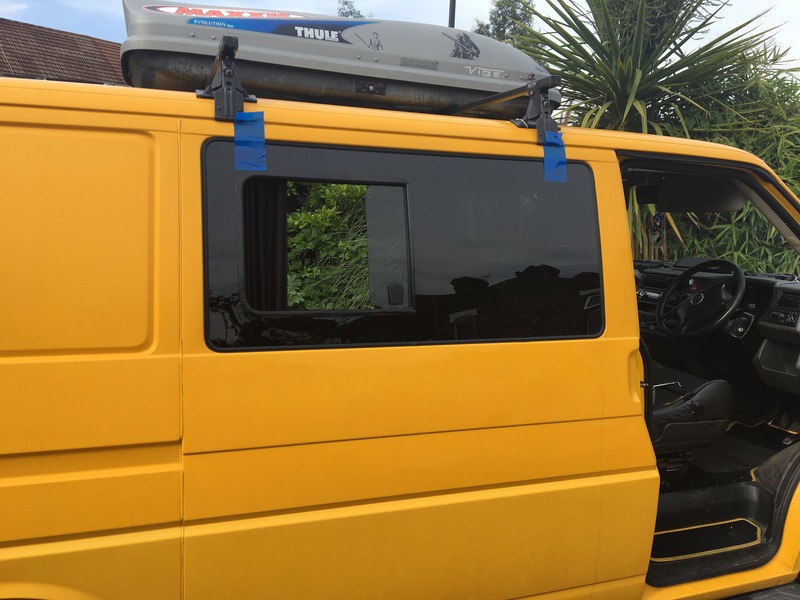 Also, when we park up we put up blinds to keep the sun and heat out, you can’t open the windows while they are up so your only option is to open the door, tailgate or sunroof, fine in the day but no so fine at night. 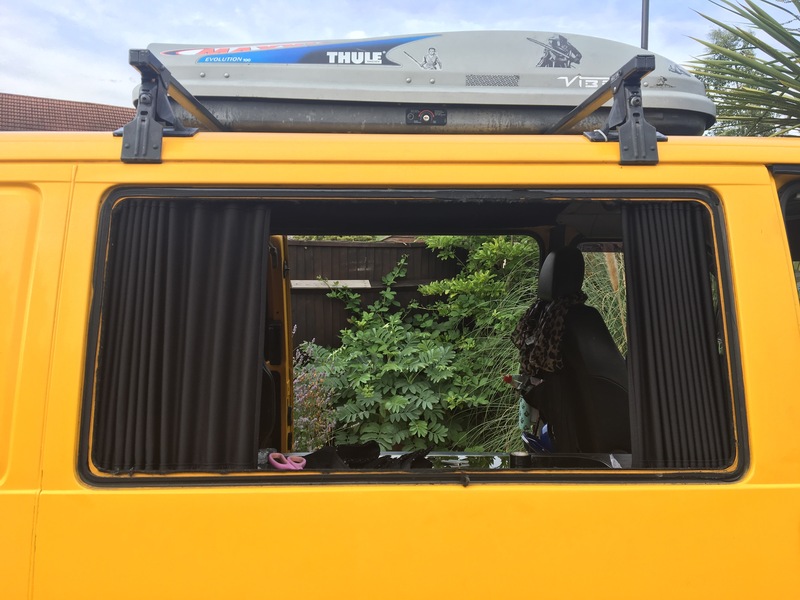 I decided the solution for this was to replace the rear windows with sliders. 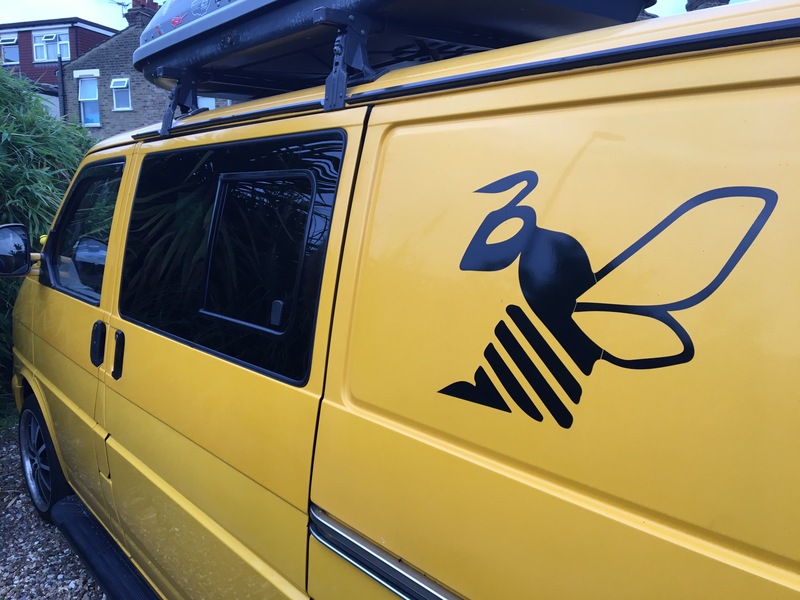 My good friend Robert is an auto glass fitter and he does a lot of conversion work with a company local to him, taking his advice (and discount) I ordered a set of windows which I believe he sourced from Just Kampers. 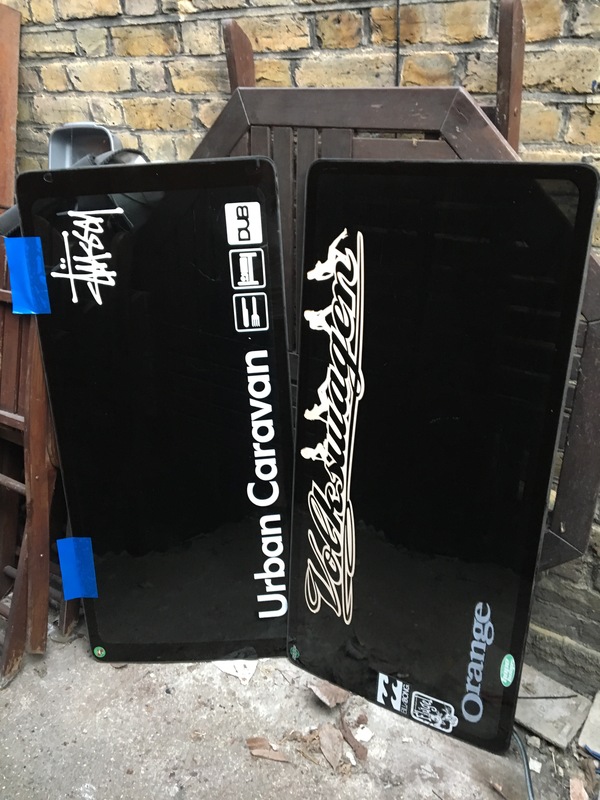 I would like to say I fitted them myself but I didn’t, especially as one of my best mates does this for a living, Rob came over in and no time at all the first window was out. 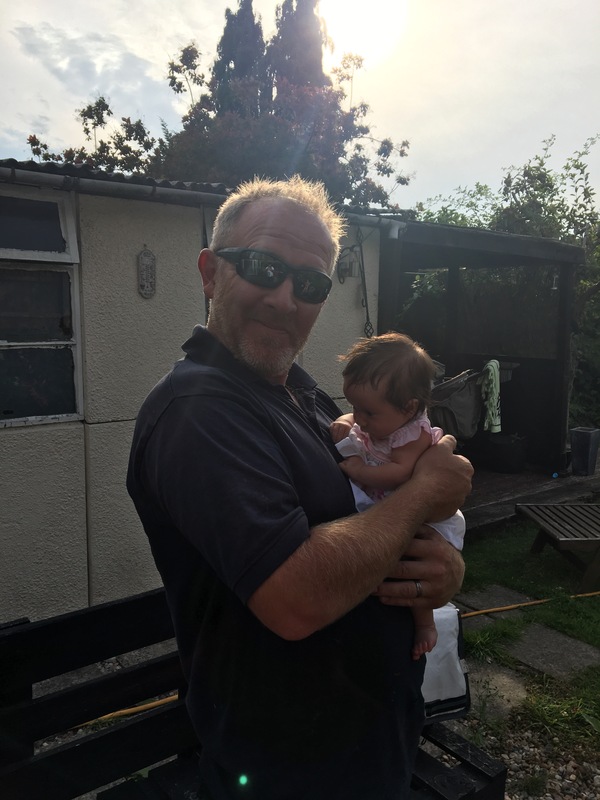 As we are mates all Robert asked for was a burger and a beer, i put the BBQ on and Rob had a squeeze with Stella who he has now finally met!